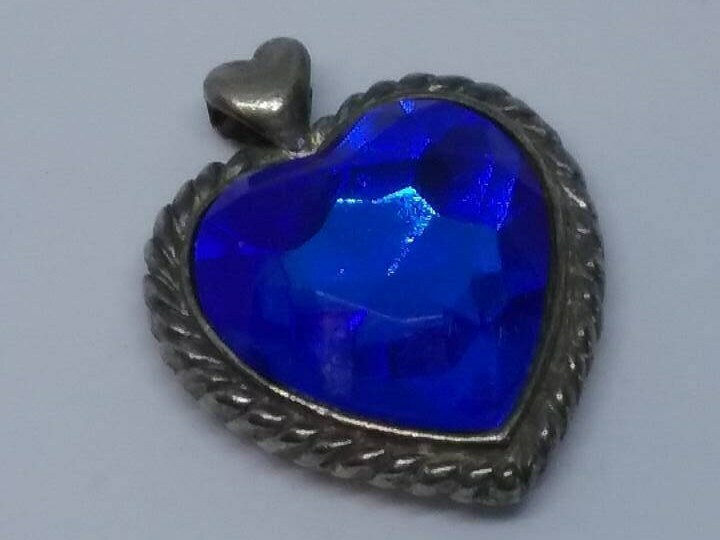 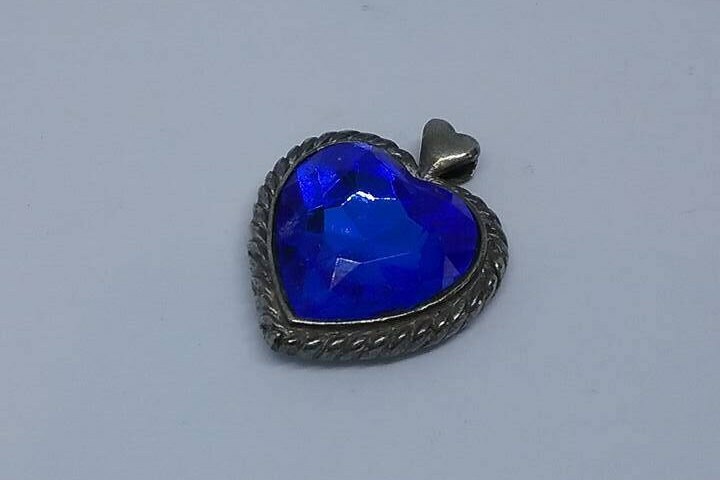 Royal Blue Faceted Acrylic Heart set in Silver plated setting. 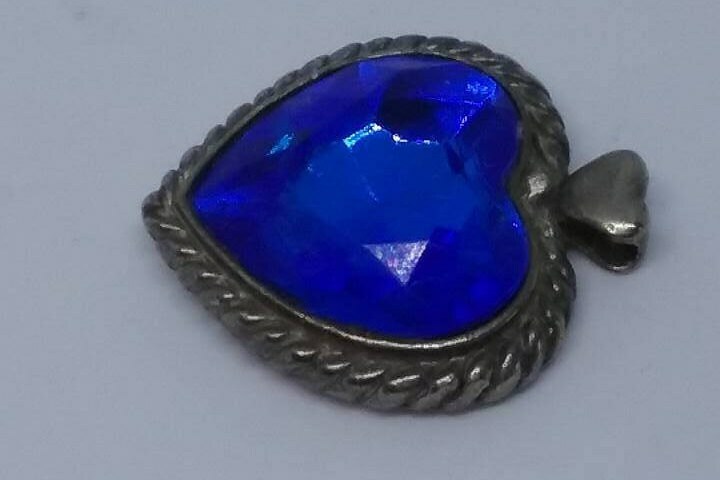 Pendant only, the faceted blue is riveting and the edge of the setting is weave look with a strong silver heart hoop to hang from a chain of your choice. 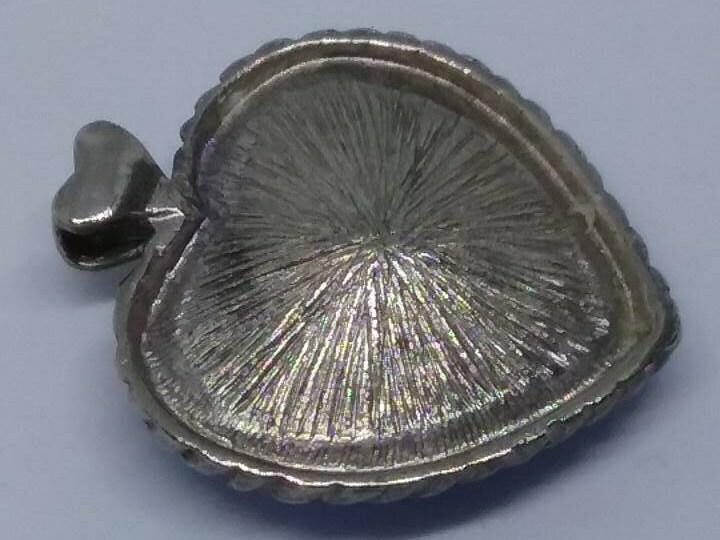 Price is for pendant only. 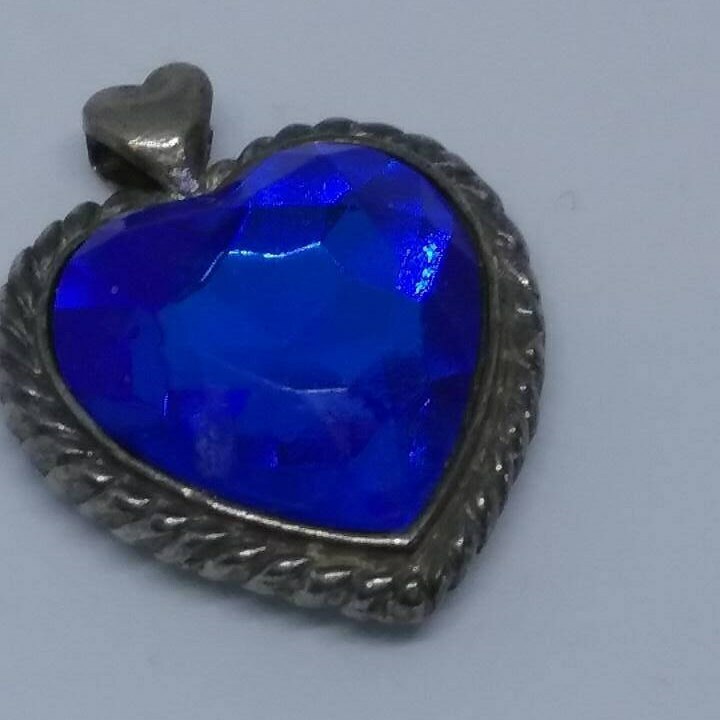 Good vintage condition shows small scratch spot on bottom left side, but does not distract from its beauty.